“Many of my perfume creations are greatly influenced by periods of history, romantic and literary concepts, nature, people and artwork; much like a painting or a piece of poetry it is the fragments which are extracted from these muses that combine and make something entirely new. When creating a perfume, I think of colours, textures and places. I imagine the people who may wear the fragrance and hope that the perfume will help them conjure their own unique and personal allusions. 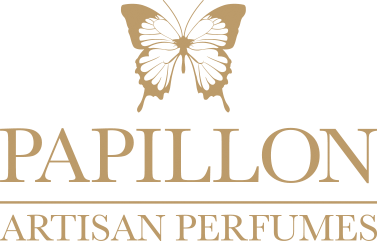 The use of exceptional materials in my work allows for the greatest inspiration and the three perfumes I have created for Papillon are illuminated by simplicity and free from gimmicks.